I'm happy to announce the release of Event Calendar Pro 0.0.1.0 a premium event publishing system for mojoPortal. This is a significant upgrade and is free to existing customers who have already purchased Event Calendar Pro. Just sign into the site and visit our Store, click the "Order History" link to get to your order history and you will be able to download the new version using the same page where you originally downloaded. For new customers pricing starts at $99 for a single installation license. You can also try it on our demo site at demo.mojoportal.com. This release requires mojoPortal 2.2.8.3, so you should upgrade to the latest mojoPortal before installing or upgrading to the new version of Event Calendar Pro. 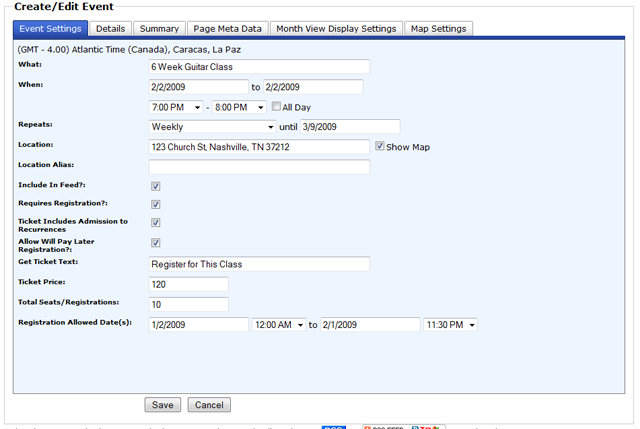 Ability to take registrations or sell tickets to a course or class. If you create a recurring event, for example a weekly course that runs every Tuesday for 6 weeks, you can specify that the ticket/registration includes the recurrences. If you have customers that pay by check or other means in person, you can enable a "Will Pay Later" button so users can register for the event but pay upon arrival. You can optionally limit the roles allowed to use this feature so for example you could create a role named "Trusted Customers" and add your trusted customers to that role and then limit use of the "Will Pay Later" button to members of that role. 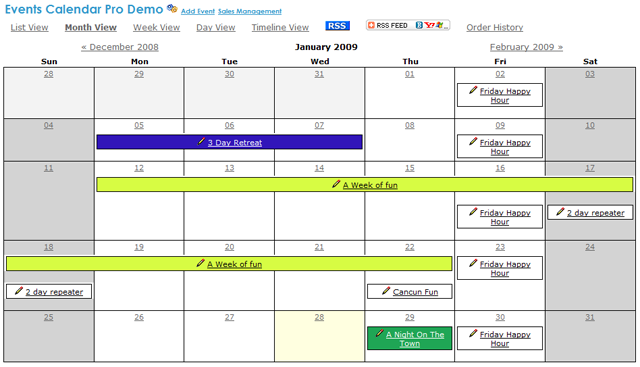 You can color code events differently on the Month View using our new color picker. You can customize the text on the ticket purchase/register link per event, so instead of the default "Register for this event", you could put "Register for this class" or whatever you like. There is a new setting to specify the default Country and State for ticket orders/registration to make it more convenient if most of your customers are local. Ability to specify the end date for recurrences. Location Alias in case you want the location label to be different than the location you use to get the google map to work. Meta keywords and description per event. Google Map settings are now per event rather than global. Addition of a Summary field so you can have a more brief description of the event on the List View and Ticket Purchase/Registration page. design is ugly as sin.